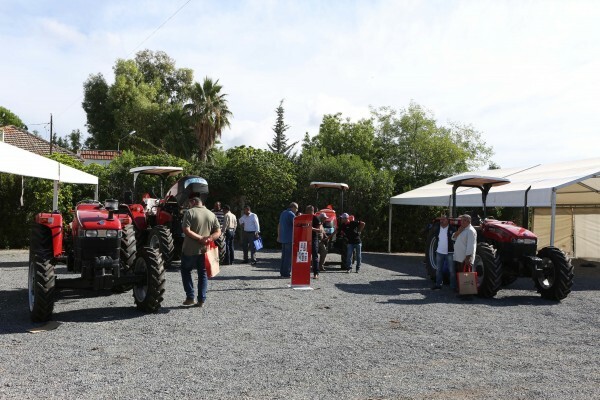 Case IH distributor Agrodis, part of the Hortimag Horticulture group, demonstrated in a Field Day in Boussalem the important contribution that mechanisation can make to the Country’s five-year plan for the development of the Agriculture sector. Agriculture is a strategic sector in the Tunisian economy. It occupies approximately 16% of the country’s workforce and contributes around 12% of GDP. Land fragmentation, with 75% of farms of less than 10 ha, and a weak irrigation infrastructure are today some of the main challenges. Agriculture is a priority for the government, which has been introducing a series of measures to attract private investment and modernise the sector. The Ministry of Agriculture’s five-year plan for the development of the agriculture and fisheries sector for 2016-2020 aims to raise the cover ratio (ratio of exports compared to imports) to 96%, up from 74% in the previous five-year period. To achieve this objective the plan foresees a 3.3% annual increase in agricultural production. Mechanisation and efficient farming practices are key to achieving improvements in productivity, making the most of available resources. 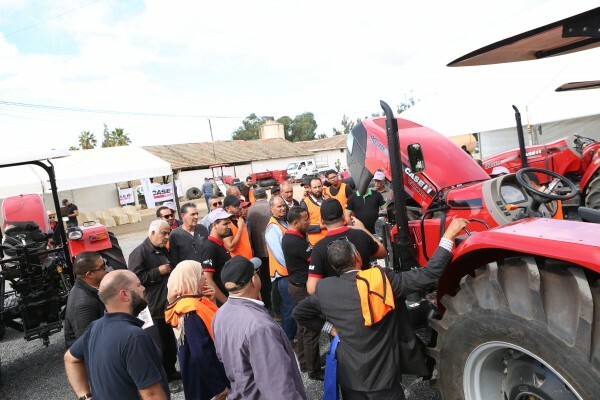 Case IH distributor Agrodis – part of the Hortimag Horticulture group – held a Field Day event in Boussalem, in the Jendouba governorate, to demonstrate how its equipment can help the region’s farmers work their land more efficiently. The event, which was held at the Sedan (Société d’Exploitation et de Déveleppement Agricole Du Nord) farm, included rolling workshops throughout the day covering soil preparation, seeding and application of fertilisers. 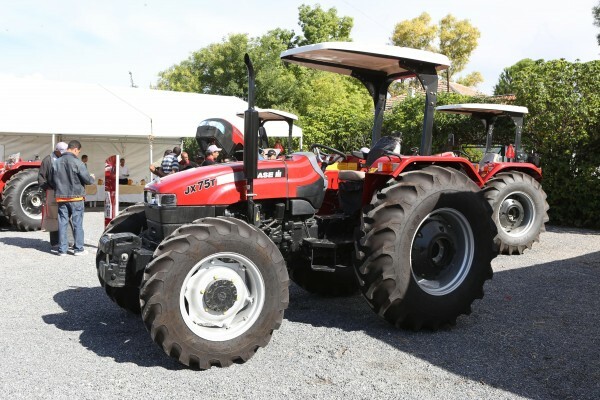 The demonstrations where conducted with the most popular Case IH tractors in the market: the JX40T and JX75T high performance utility tractors in 4-wheel drive configuration. They showed soil treatment and ploughing applications, while the rugged, powerful and economic Farmall 80 JXM and 90 JXM 4-wheel drive models worked with a no-tillage planter and an offset plough. 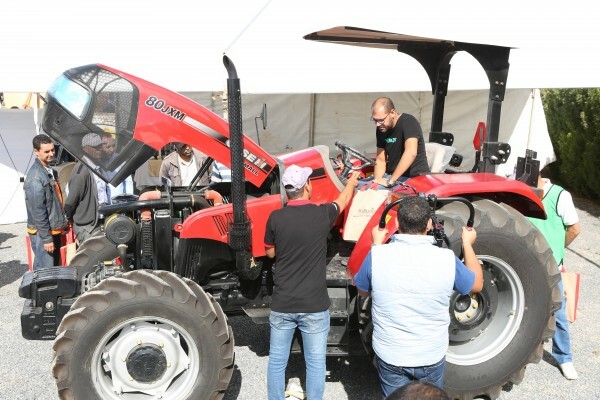 Participants to the workshops were able to appreciate the outstanding power, speed, lift capacity and pulling strength of the JXT tractors. With models ranging from 35 to 75 hp, these tractors deliver a big performance with exceptionally low operating costs. As demonstrated in the workshop, their hydraulic system can handle with ease a variety of implements. 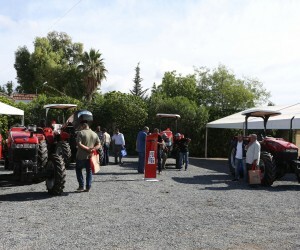 The two Farmall JXM models, with 80 and 90 hp respectively, showed their ability to provide all the power needed in tough jobs as well as excellent fuel economy. With their rugged design and tough components, they deliver outstanding manoeuvrability and stability in the toughest operations. They are suitable for many types of farming businesses, and are equally at home as a flagship in a small farm or a utility tractor in a larger operation. Also on show at the Field Day were Case IH JX Straddle tractors (80 and 95 hp models). These versatile tractors stand out for their minimal fuel consumption, and feature an independent direct-drive PTO able to operate a wide range of equipment with ease and economically. They are engineered and built to work in tough conditions, reliably delivering the traction needed in any terrain. Case IH also showed at the event an SB541 small square baler, which can be relied on to deliver season after season of heavy-duty baling.